Recently I spent a week in Nathon, Koh Samui, visiting all the different restaurants and cafes. 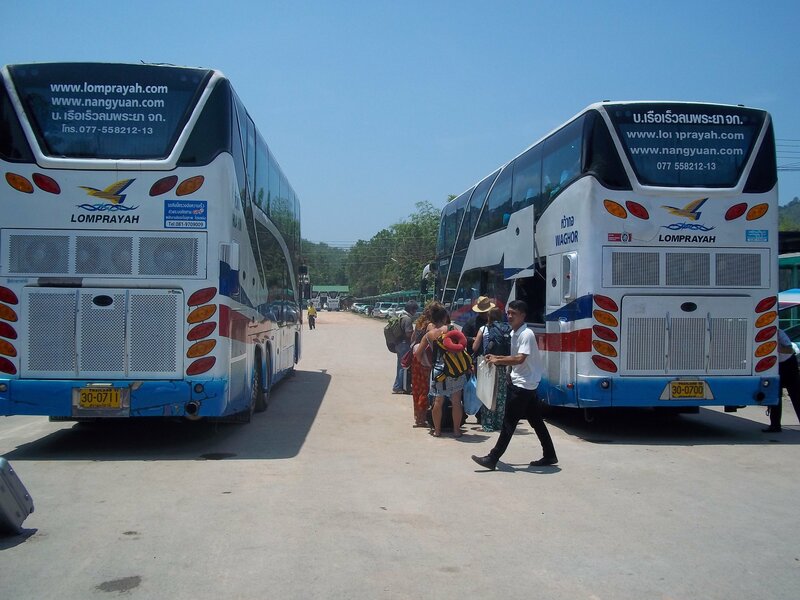 Nathon is a place that foreigners normally only pass through to get a ferry to or from Koh Samui. 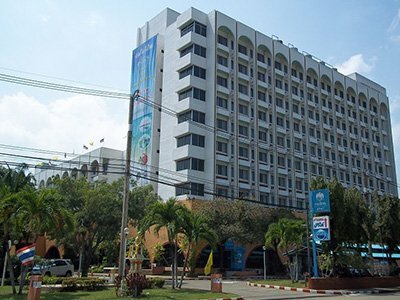 Nathon is not a popular place for people to stay whilst on holiday in the same way that Chaweng and Lamai are. 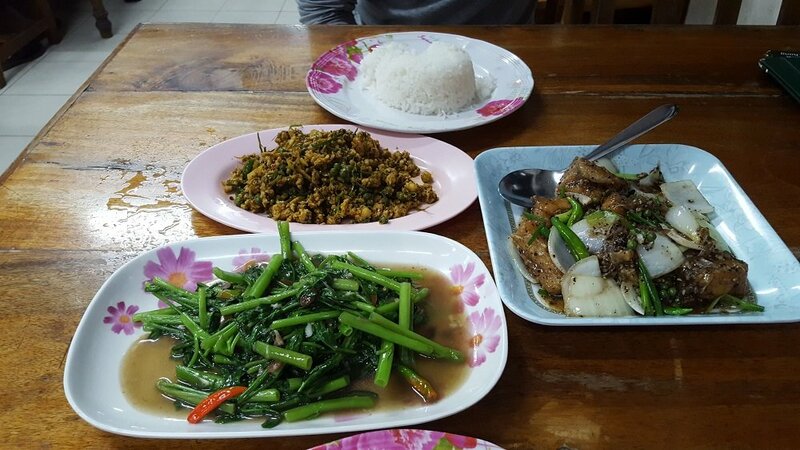 This is a shame as Nathon is actually a really nice town with some fantastic restaurants – much better than the ones I have found in Chaweng and Lamai, and cheaper and more authentic Asian food than I found in Bophut. Nathon may not have a great beach for swimming, or lots of night life, but it is the place to go in Koh Samui if you want to eat great Thai food prepared in the Thai way. For me Nathon is the culinary capital of Koh Samui even if the guide books and glossy magazines say something different. Krua Savoiey is one of the longest running restaurants in Koh Samui – it has been in the same location for over 25 years now – which is overwhelming proof of how good this place is and it is not expensive for what they provide. Krua Savoiey is located on the road which runs along the sea front in Nathon Town, about 5 minutes walk South from the Seatran pier. This seafront location is part of the charm. At night you can see the sea and the lights from the ferries as they come in and out of the port. Appropriately, given that Nathon is also a busy fishing harbour, Krua Savoiey is predominantly a seafood restaurant, although they also serve some very good value for money Western dishes. I like their beef steak in pepper sauce for the bargain price of 150 THB, which comes with fries and salad, definately a ‘proper plate of food‘. 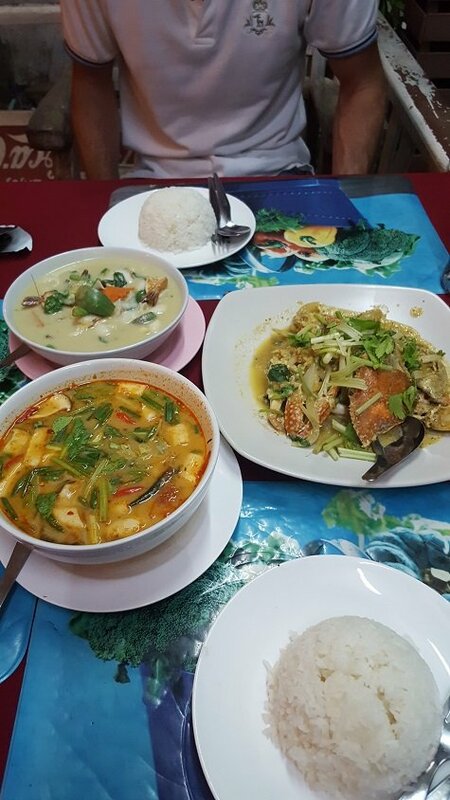 The food we ordered, pictured above, was a Poo Phad Garee (crab fried in Indian curry powder with egg), a Tom Yam Talay (seafood in Tom Yam soup), and Tom Kha Gai (chicken in coconut soup). All classic Thai dishes that in truth my Thai wife and I rarely order in restaurants because they need to be cooked just right to taste good. As is so often the case with food, the simplest Thai dishes are actually the hardest test for a Thai restaurant and Krua Savoiey passed that test. 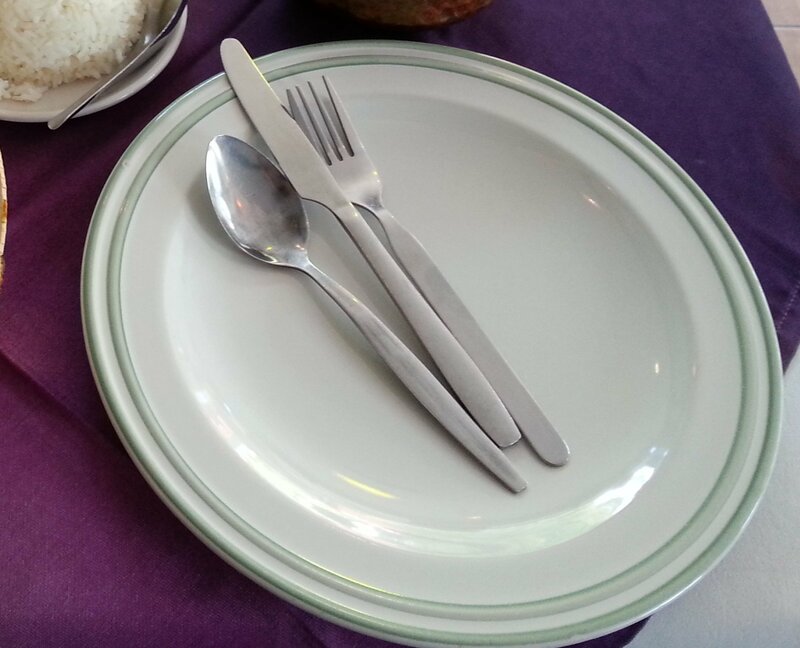 Other things on the menu include fried, steamed and grilled seafood, a range of curries and all the noodle and rice dishes that might be more appropriate for a light lunch. The bill for these dishes, rice and drinks for two came to 750 THB. Good seafood is not cheap in Thailand and I was satisfied that this represented good value for money. The service is polite and prompt, the restaurant is in a good state of repair, and the seafront location is excellent. Danang Restaurant, also on the sea front road and about 200 metres closer the Seatran Ferry pier than Krua Savoiey, is a new restaurant which has open in 2016. They serve great Vietnamese food at the restaurant, although their main business seems to be providing outside catering and as a consequence they close the restaurant early. You are unlikely to get served at the restaurant if you turn up after 20.00. Make the effort to go early to this restaurant as it is really good. Danang Restaurant is located in the ground floor level of the Chytalay Palace Hotel, and they put a lot of effort into the decor of this restaurant. It looks very smart and modern inside. Unfortunately they were not too keen on our taking photographs so you need to take my word for it. The mainstay of Vietnamese dining in Thailand is the ‘Namnueng’ which is a set of ingredients which you wrap up in rice paper yourself and eat like a spring roll. 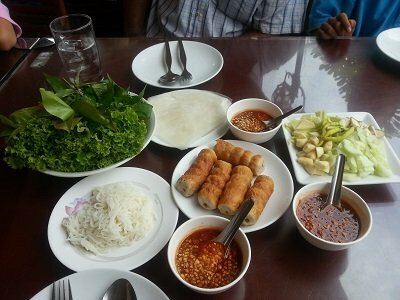 The most common namnueng fillings are Vietnamese sausage, rice noodles, salad, and chilli sauce. The namnueng we had at Danang Restaurant was pretty good and a good Asian alternative to eating Thai food. We also ordered spiced minced pork wrapped in betel nut leaf and served on a skewer which is a really interesting and tasty small dish which unfortunately we were too full to appreciate properly. At the end of the meal, which cost 450 THB for two with drinks, they gave us each a mango sorbet in a shot glass with I thought was a really classy touch for a small restaurant. 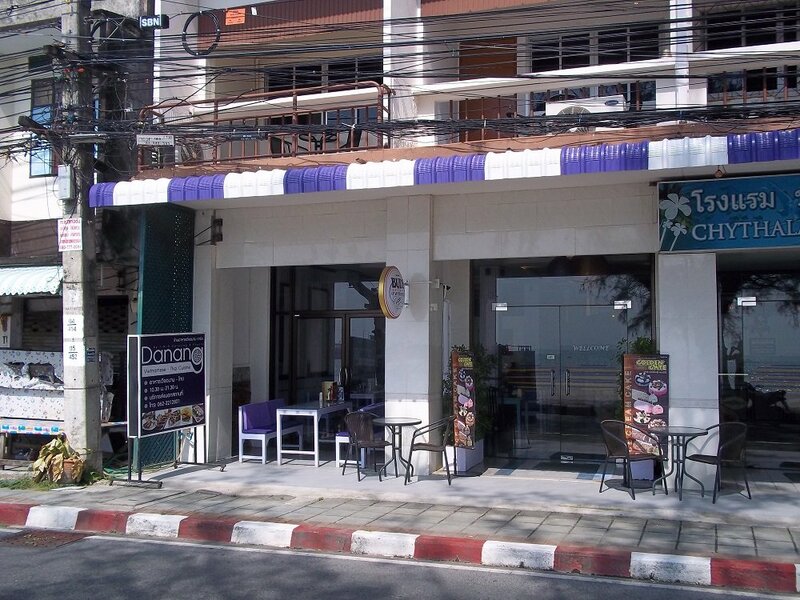 I see real potential for Danang Restaurant in the future and it could become a really popular dining venue in Koh Samui if they perhaps considered opening up until a little later in the evening. 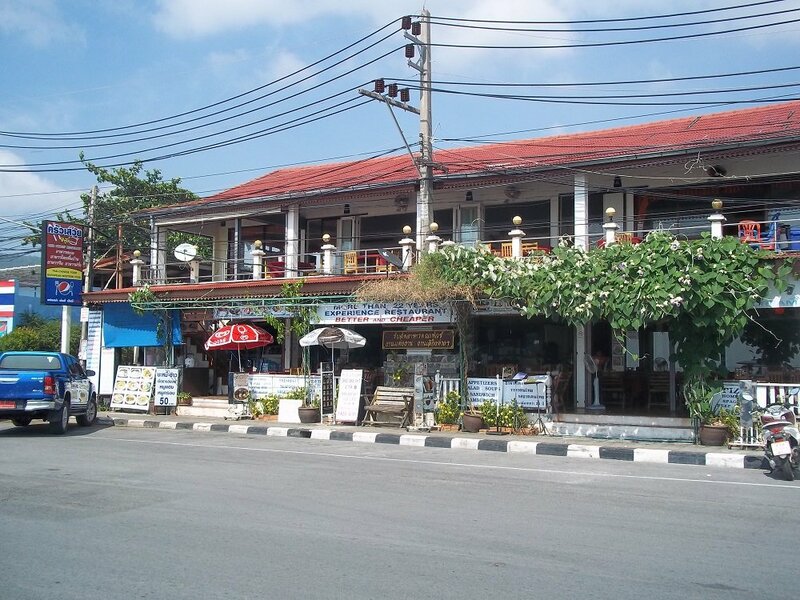 This restaurant is located on the road heading up from the seafront from the Songersem Pier towards the Koh Samui District office and Nathon Police station. From the Songserm or Lomprayah piers it is a 2 to 3 minute walk away. They do some sit down food at this bakery, but the real selling point is the pastries, croissants and bread which they make on the premises. I had a take away breakfast from here consisting of two croissants costing 40 THB each. They were awesome and perhaps the best I have eaten in Thailand. Very filling and great eaten in my hotel bed with a cup of coffee and BBC News on cable TV. The other thing I ordered from here was a large sandwich which cost me 120 THB and was worth every penny. The bread was a dark French baguette filled with imported cheese (it tasted like Edam) and ham with some salad. Very filling. 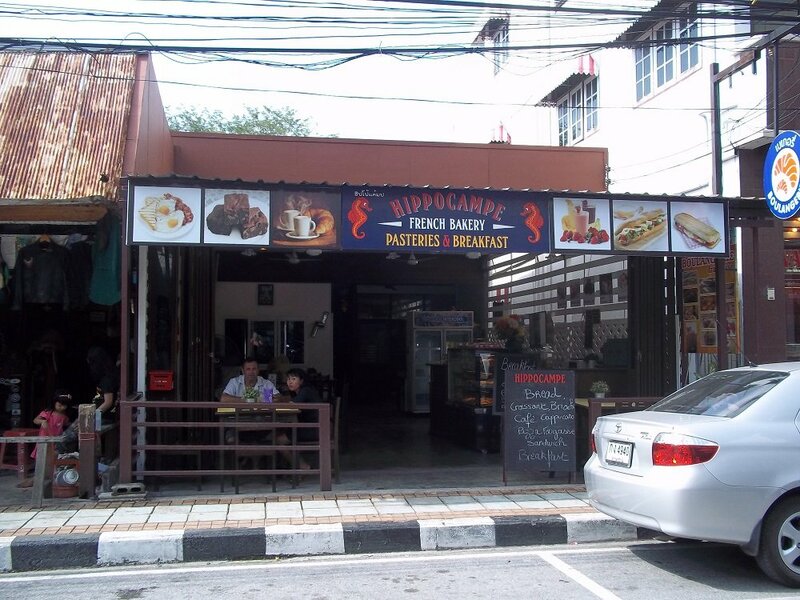 Hippocampe French Bakery delivers exact what it claims to: French bakery products, but in Koh Samui. This is a lunch and breakfast time eatery on the same road as Tesco Lotus in Nathon. To find it is really easy: go to the entrance to the Tesco Lotus car park and head right up the road (the same direction of the traffic goes on this one way street) and walk about 70 metres and it is on your left on the same side of the road. If you plan to eat here on a weekday come before 12.30 or after 14.00, because during this hour and a half period the place is generally full with local people coming here on their lunch break. There are lots of similar, and equally cheap, eateries on this road but Will Wait Restaurant is clearly the best. What the Thai people generally come here to eat is noodle soup. They do it very well here and have some styles of noodle soup, such as Yen Dar Fo (pink noodle soup with squid, fish ball and pork stock), which are not commonly served at most restraurants. The noodle soups all come with home made wonton. If, like me, you prefer something less liquid for lunch, they serve some fantastic sandwiches here for about 70 to 80 THB depending on what you have. The best sandwiches are the ones where they put a Thai meat dish, like chicken fried in breadcrumbs or roast red pork, inside a small French style baguette. Will Wait Restaurant also does the normal range of fried rices and curries, although these are not the dishes which people generally come here to eat. With soft drinks it costs about 250 to 300 THB for two people, more if you have a beer with your lunch. 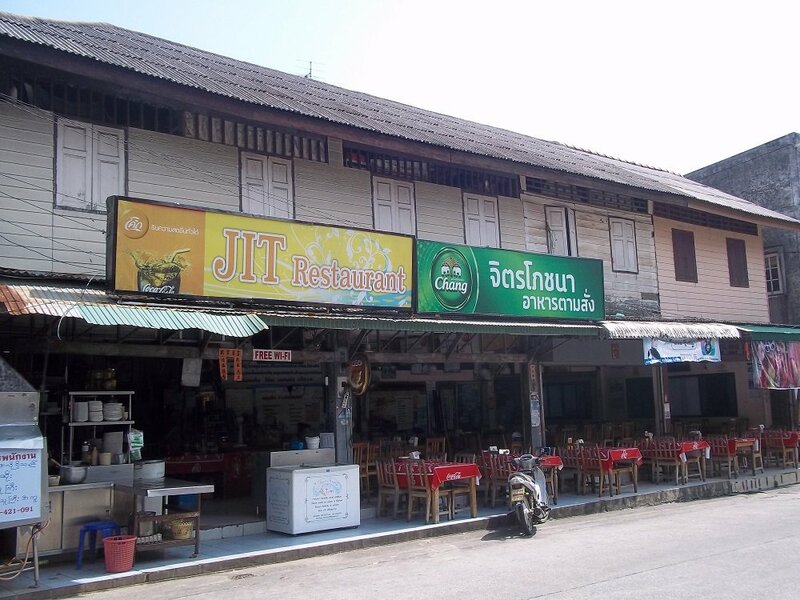 Jit Restaurant which is on same road as Will Wait Restaurant and Tesco Lotus in Nathon, but further down and on the other side of the road. 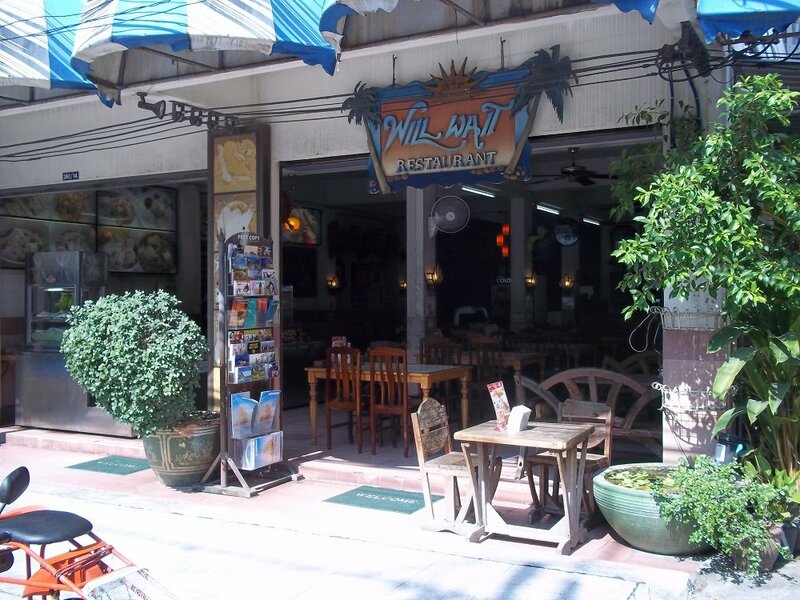 This a great restaurant and one of best places on Koh Samui to eat authentic local style Thai food. Even the more expensive seafood dishes were around 150 THB, the other food cost less, and the portions are large and meant for sharing. This restaurant is very popular with local people. Wealthier people in Nathon appear to eat Krua Savoiey when they go out as family. Those on more modest incomes appear to go to Jit Restaurant for slightly less refined dining. The lady who runs this large restaurant is very friendly and oversees the whole operation in close detail to make sure no one is left waiting too long or has a problem with their food. Another reason, no doubt, for the restaurant’s popularity. The dishes pictured are Moo Kling (yellow pork curry which is a popular, unique and very spicy Southern Thai dish and one of my favourites), Plah Kapong Phad Gratiem Phrik Thai (seabass fried with garlic and pepper) and Phad Pak Bong (morning glory fried with chilli and oyster sauce). All three dishes were outstanding. I liked the use of fresh green peppercorns with the fried fish, a major improvement over how it is normally made with dry black peppercorns. The Moo Kling hit the spot as well and we took the remaining half a plate home to eat the next day – Moo Kling is so spicy that you can only really eat it in small portions with lots of rice. With drinks the meal came to 490 THB for two people.